It’s common for customers to need to know the bolt pattern of their OEM wheels in order to figure out if another set of rims will fit on their vehicle. Is there a way to do this without calling the dealer or looking it up? Yes there is! There’s a way you can do this yourself, and all you’ll need is a ruler or measuring tape. 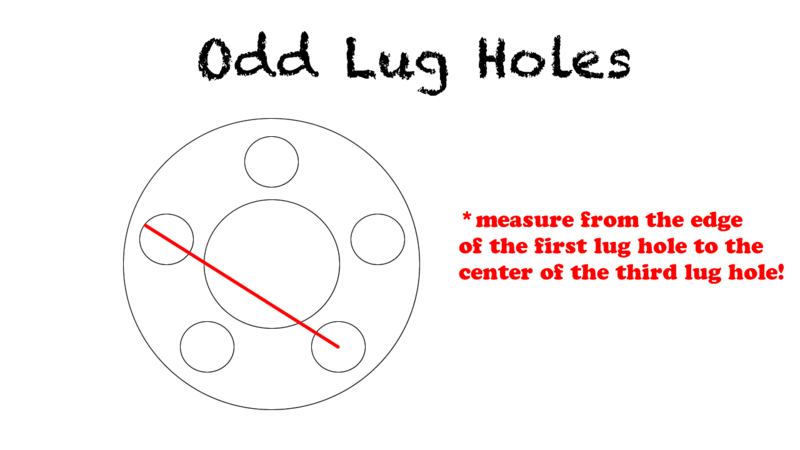 The first thing you need to determine is whether you have even-numbered or odd-numbered lugs. The process is going to be a little different for each one. Here’s a diagram of how to measure the bolt pattern of a wheel with even lugs, such as some stock Chevy Colorado steel wheels. 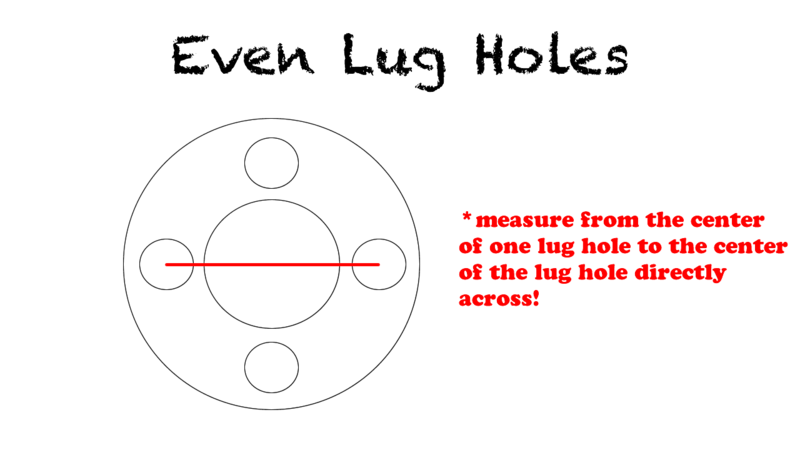 Like-wise, here’s a little diagram of what to do for 5 lugs, or odd-numbered lugs. Many wheels have 5 lugs, but the one shown in the video is 71179. It’s a little trickier than dealing with even-numbered lugs! If you want to see a video demonstration, be sure to check out the video above, or call us anytime Mon-Fri from 8am – 5pm PST and we’ll be happy to assist you! Either way, we hope this blog has been helpful to you!